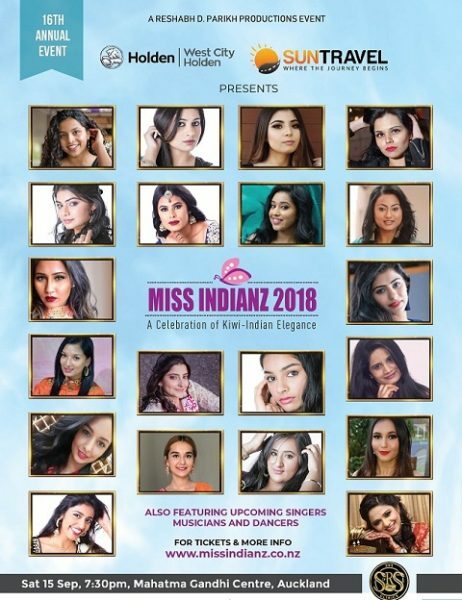 Public voting in Miss Indianz 2018 is now open as the annual pageant enters the final phase of production, with the grand event scheduled to be held on Saturday, September 15, 2018 at Mahatma Gandhi Centre, located at 145, New North Road, Eden Terrace in Auckland. Reshabh D Parikh Productions and Rhythm House are organising the event, now in its 16th Edition in an annual series that began in 2002. 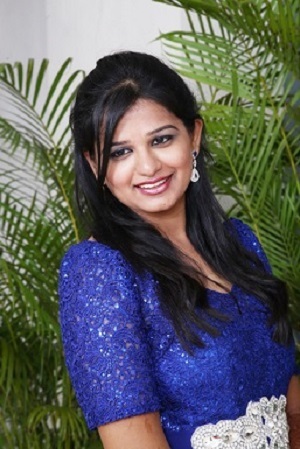 Indian Newslink and Radio Tarana have been media partners of the Pageant since it began. Director Dharmesh Parikh said that public voting for ‘Miss Popular Miss Indianz’ is now open. “People should text ‘INDIANZ’ followed by the first and surnames of the contestants they wish to vote to Number 226. Only one vote is allowed by mobile handset and all voters go into a draw to win Westfield vouchers of $50 value. Text cost 20 cents per message and only mobile phones bearing New Zealand numbers are eligible,” he said. Mr Parikh said that Guru and Shivani Pande of Wellington will perform at the show. We continue our profile of contestants. This young lady from Bhopal (Capital City of Madhya Pradesh in India) is already a triple winner – Throwball Competition, Group Dance Competition and 100% Attendance in School. That is not all. 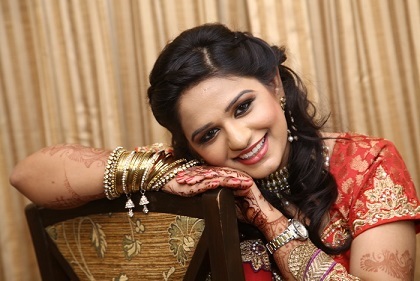 Aastha KT has won prizes in singing, Rangoli, and has been crowned ‘Super Model’ at a fashion show. “I am very much passionate about fashion and felt motivated when I won the Best Model of the Year’ Title while at college in 2011. 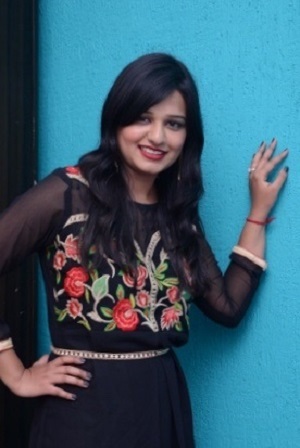 I am very confident on stage and love to learn more about different things,” Aastha said. Shanu Devgan is a highly technical person, with qualifications in Information Technology (Bachelor’s degree), Computer Application (Masters) and Computing (Graduate Diploma). Highly motivated and experienced, Shanu is adaptable to new technology tools and is a quick learner with a passion for knowledge. “After working for several companies, I would like to explore my role. I have excellent skills of collaborating with project teams, solving the customer issues& interfacing with clients. My analytical abilities and creativity have helped me to build competitive advantage and contribute to the growth of the business,” she said. 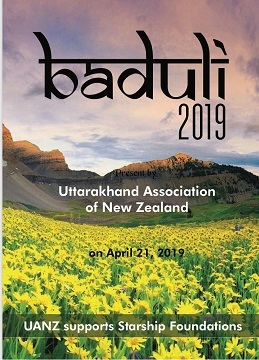 Born in the North Indian City of Faridabad, Shivani Kataria arrived in New Zealand in February 2017. 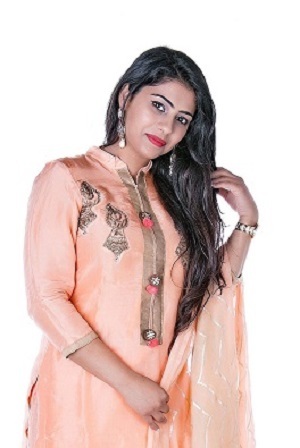 She hopes that Miss Indianz 2018 will boost her self-confidence and help her to gain recognition and status in the society. 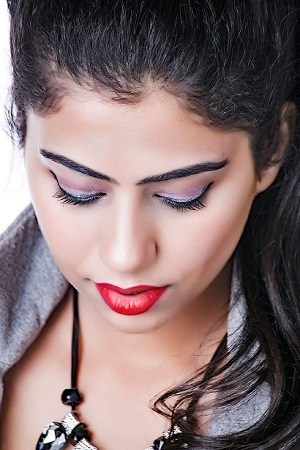 A first class student in Business Studies, she is also qualified in Fashion Styling. Basketball is her favourite sport.